Welcome to the 305th edition of Tranquility du Jour. 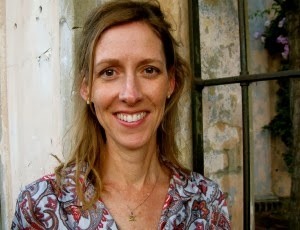 Today's show features Kellen Brugman on Ayurveda, Yoga + Writing. 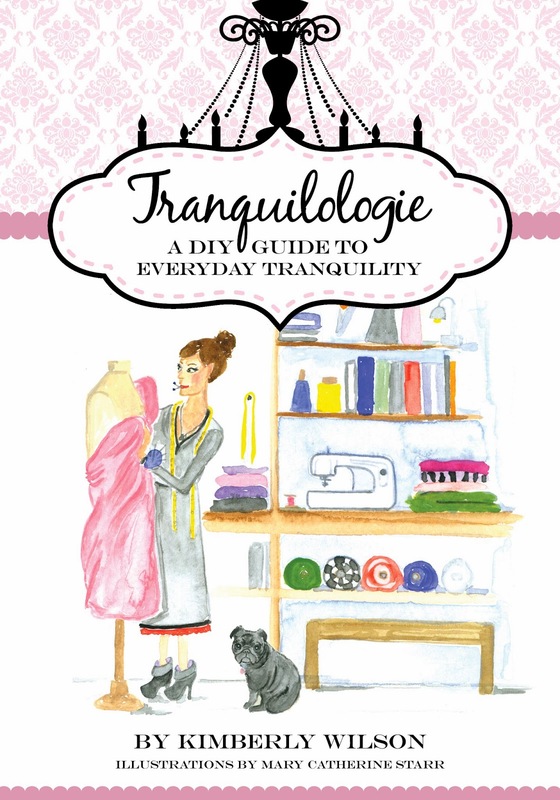 Workshops + Retreats: Join moi for a tranquilologie experience. Immerse yourself in the study of tranquility with scents of lavender, lots of love, and dollops of sparkles thrown in. Below are options to whet your palate. 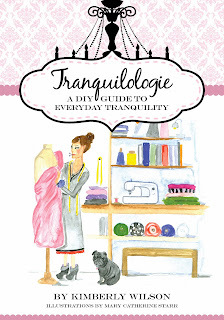 Tranquilologie: A DIY Guide to Everyday Tranquility: A hardcover 200-page full-color artsy limited edition book to serve up even more inspiration. 20 copies remain. This do-it-yourself field guide takes you from January through December with doses of inspiration covering eight topics–mindfulness, self-care, nesting, do-gooding, work, style, creativity, dreams–in a nouveau way each month. Browse now. Also, available in PDF format for your e-reader. 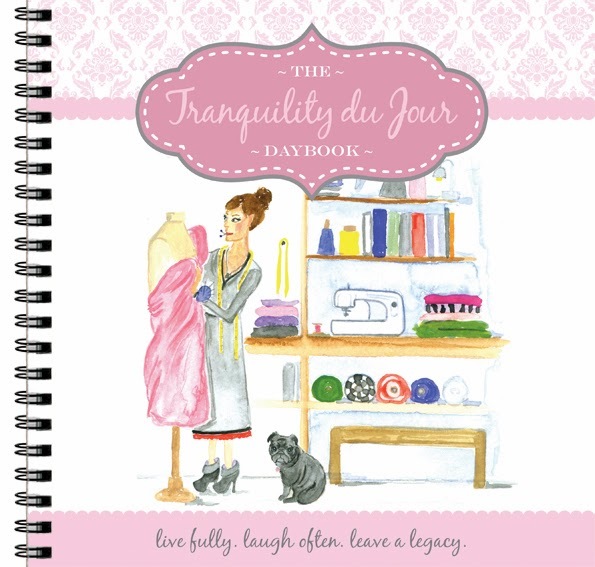 Tranquility du Jour Daybook: Seeking a colorful, inspiring, art-filled planner focused on staying in touch with your week's most important tasks and your life's most important dreams? 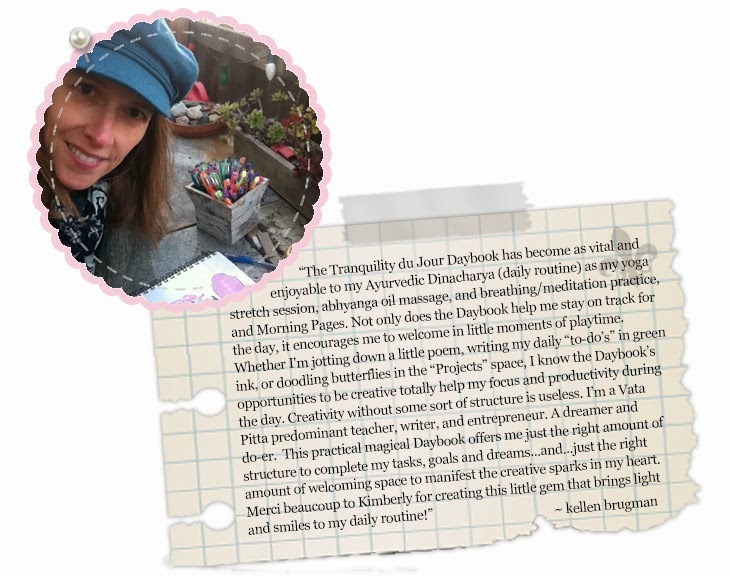 This larger hardcover beauty has double wire metal spiral binding plus journal prompts, checklists on aligned pages, 20 inspiration pages for your creative efforts, dates and data to remember spreads, a mindfulness practice log, and more. Ooh la la, it’s a pink planner, lifestyle organizer, and wellness guide all in one. Browse now. 25 copies remain. Also, available in PDF form for printing and binding DIY style.